There’s a feeling you get from having truly amazing sound flowing through your own home. It’s that carefree feeling of excitement, a sense of celebration and it’s the ultimate tool to instantly chill out, relax and just enjoy your space. For me, when we were designing our new home it was essential we thought about sound and how to wirelessly connect a system that would give us thunderous base and surround sound that not only connected seamlessly but looked as good as it sounded. Introducing the Lifestyle 650 home entertainment system from Bose. The sleek lines of this stylish system caught my eye and I loved that it came in white – for me the look was just as important to get right. The polished glass curvature of the console meant I could sit this up on my stone bench in my living room without it overtaking the space and looking bulky. It looks like a gorgeous design object, rather than a sound system – it was the perfect compliment to my curated interior. The Bose Lifestyle 650 system has been engineered to be simple. ADAPTiQ audio calibration fine tubes the sound specifically to the room and the things in it. So when you hear it, you hear it at its absolute best. The rear speakers and bass module even connect wirelessly for easy placement and integration. It’s a statement in elegance and craftsmanship. Working from home means I need a bit of background music to keep me inspired, and Bose has totally nailed it with it’s incredible sound. It’s made my home office a place where the music is pumping and the creative juices are flowing! Come ‘tools down’ time movies have never sounded so good! Like any busy working parent with young kids, date night at the movies is a rare occasion but Bose has created a cinema experience for me in my own home. I am a secret lover of a big Hollywood action blockbuster and the sound coming out of these incredible little speakers is thunderous and puts you right in the seat of the action! 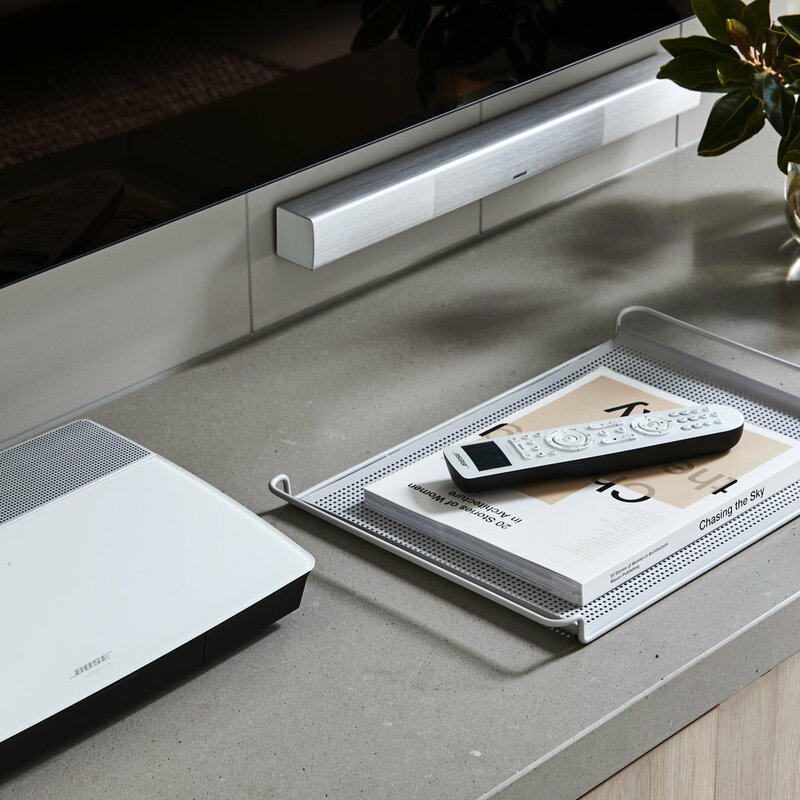 If you’re looking for a home entertainment system the Bose Lifestyle 650 proves you don’t have to leave home to experience ‘best in class’ sound with the benefit of sleek, minimal and stylish aesthetics. It’s the perfect partner for a well designed interior. See more (here) see more of my work at Archer Interiors (here).